Expires in 3d . Last validated 1mo ago . Used 4 times. freddy medina I am validating that this deal works as described. 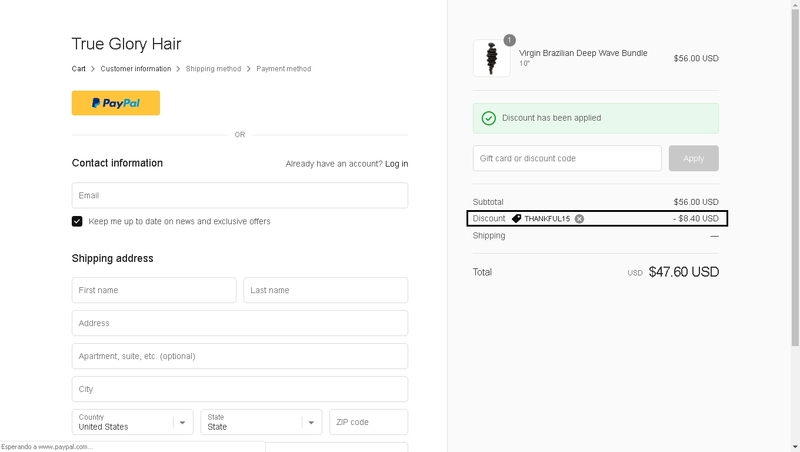 Enter the code during the checkout process to apply the discount. There may be some exclusions that apply to this deal. Frank Rivero I am validating that this deal works as described. Enter code and Get 15% Off Your Order at True Glory Hair (Site-Wide).